There’s always room for improvement. Or, if you’re sure you’re perfect, here’s some validation about the idiots out on the road with you. If you’re staring at the car in front, you have no idea what’s happening further up the road. Scanning the road up to 12 seconds ahead will give you an enormous amount of extra time to anticipate and react to dangers, and goes a long way to eliminating nose-to-tail accidents where you run into the back of the vehicle in front of you. Looking further ahead also saves you fuel and reduces wear and tear on your brakes because you can begin to adjust your speed much earlier. Read more about anticipation when driving. You can’t see as far ahead because the vehicle in front blocks your vision more – this means you’re not able to take advantage of our first tip, looking further ahead. Other vehicles that might need to move into your lane to exit the motorway create an even bigger danger by shortening the gaps even more. You might not be breaking the speed limit, but you might still be going too fast. This diagram shows that sometimes the speed limit is still too fast for the conditions (e.g. snow, heavy rain, gravel surfaces, tight turns, amount of traffic, etc). If you learn the road signs then you can read the road much further ahead and you’ll be able to choose the most appropriate speed. Of course, if you exceed the speed limit that’s called excessive speed and you can be fined for it. In fact, for most trips, the time you gain by speeding is negligible because of other traffic, traffic lights and intersection – you’ll maybe gain a minute or two. 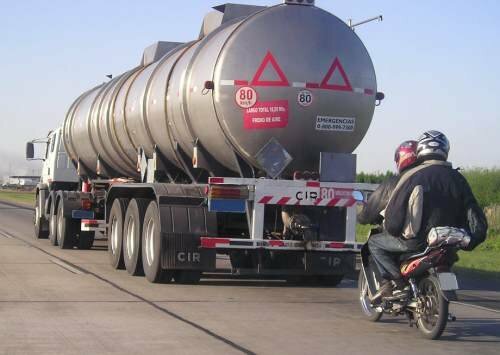 What does happen, though, is that you use a lot more fuel and you run the risk of a fine. Here’s how to avoid a speeding fine. When traffic is moving slowly impatient drivers will try anything to gain an edge by jumping between lanes. In reality, the lanes almost always move at very nearly the same speed, but traffic is slowed down a lot by people jumping between lanes. If all drivers stayed in their lanes, traffic would flow much quicker. This is because when you change lanes you cause the car behind you to brake, and the one behind it, and the one behind it. Everyone slows down in that lane because of you. Meanwhile, the gap you left is filled by other vehicles that then seem to be going faster to the cars that braked behind you in your lane, so one of them ducks across and starts the whole braking process again. 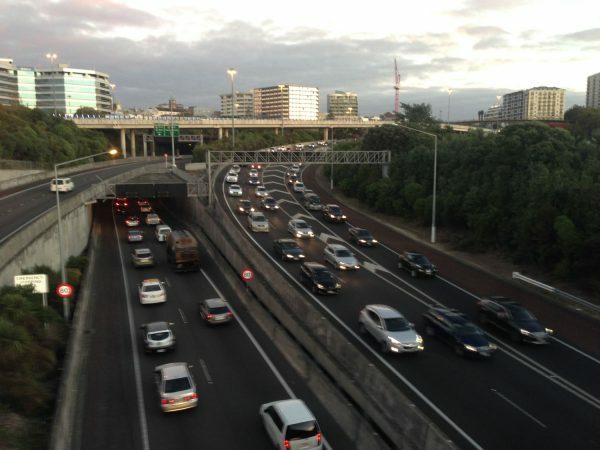 Find out what causes traffic jams. When you join a motorway make sure that you match your speed to the traffic that’s already on the motorway and then you won’t cause people to have to brake or change lanes unnecessarily. How to merge like a zip. 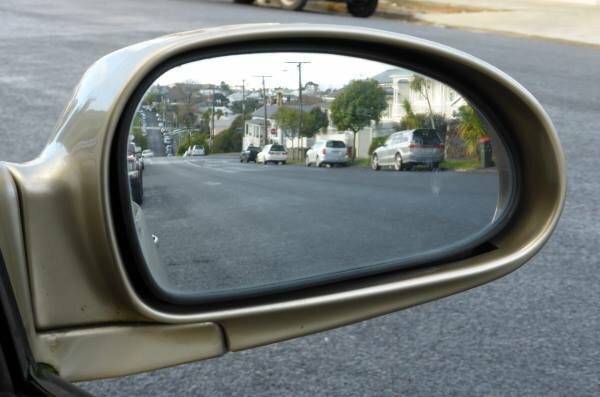 If you can see any of your car in your mirrors, you’re creating an unnecessary blind spot. 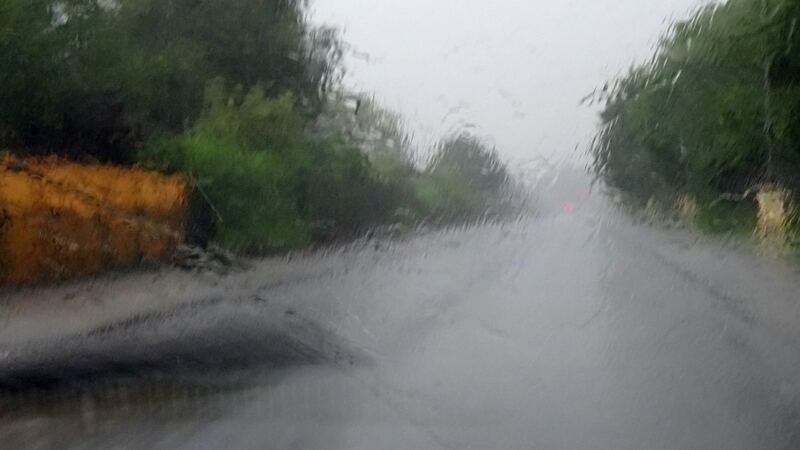 You should only just be able to see your car in the mirror when you turn and tilt your head, and this means that the mirror is covering as much of the lane next to you as possible. Adjust your rear-view mirror so that the rear window is centred. Most new cars have very thick rear pillars for crash protection, so it’s unlikely that your rear window will fill the whole rear-view mirror. 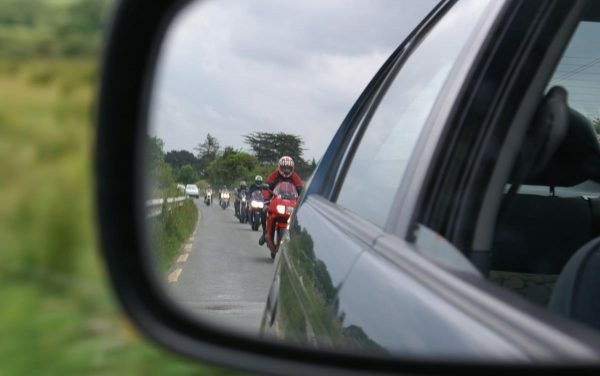 Find out how to adjust your mirrors properly. Now your mirrors are adjusted, make sure you check them frequently. You should be glancing in your mirrors every 10 seconds or so (some expert drivers say every five seconds). You’ll adjust how many times you look in your mirror based on the amount of traffic, whether you are changing lanes, and so on. Rules change, we forget things, and we pick up bad habits. Refreshing your Road Code knowledge using our Road Code tests is a free and easy way of ensuring that you know the latest road rules. You can also do advanced driving practice and lessons through driving instructors and organisations such as the Institute of Advanced Motorists. A defensive driving course will mean that you can reduce the time on your restricted licence by 6 months. Fatigue causes so many accidents. It starts by just delaying your reactions, progresses to microsleeps where your brain shuts off temporarily and ends in you falling asleep at the wheel and having a huge crash. If you feel tired, pull over and have a 15-minute break or powernap. 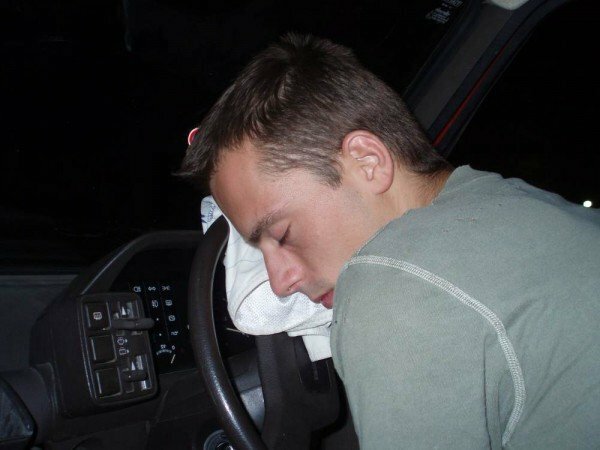 Find out how to know if you are driving while sleepy. It’s safest to put your phone on flight mode and get your satellite navigation and music set up before you set off because you don’t want to be taking your eyes off the road. Even before your journey you can use Google’s street view so you know the place you are looking for. Find out about how to avoid driving distracted. You’ll have the most control if your hands are just below the 10-to-2 position, and closer to the quarter-to-three position, and don’t wrap your thumbs around the wheel. Find out how to set up your vehicle in our Vehicle setup module in the Company/Fleet training page. Next time you drive, have someone drive with you and ask them to keep an eye on your brake and accelerator usage. Your accelerator should stay in a relatively constant position unless you are deliberately speeding up or slowing down. If you find your ‘pumping’ the accelerator usually this means you are travelling too close to the vehicle in front or you’re not looking far enough ahead. How smoothly do you come to a stop? How smoothly do you steer? The smoother you are, the less wear and tear you place on your vehicle, and the easier it is for other drivers to judge what you are doing and where you are going. Get in the habit of indicating for three seconds before you make your move as it’ll help ensure that other drivers know what you are doing. It also reduces road rage because a big cause of frustration among other drivers is people that don’t indicate properly.